Posts Tagged how much does it cost to add an NP to your practice? How Much Does a Nurse Practitioner Get Paid? 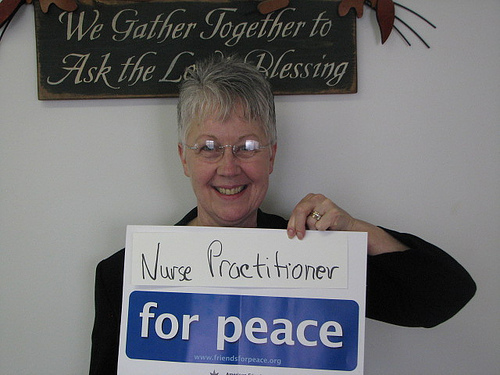 I am often asked how much Nurse Practitioners in private medical practice should be paid. This answer depends on a number of factors, not the least of which is the scope of practice for NPs in your state. Here are two handy links to laws for NPs in each state and what NPs in each state can and cannot do. In addition, NPs may make more or less depending on their duties, how much physician oversight they require, what the benefit package is, and if the NP will siphon off part of the existing providers’ practices, and therefore, income. Market rates are always important to review so an offer can be made that is somewhat comparable to other NP positions in the community, unless the work is less or more hours, less or more responsibility, etc. How many hours per week, on average, is the NP expected to work? Will the NP take call? Will the NP have his/her own patient panel? Will the NP be expected to round on nursing home patients or hospital patients or admit or discharge patients (if allowed in your local hospitals)? Will the NP staff a location without onsite physician support? Will the NP be managing other staff or other mid-levels? How much experience does the NP have overall, and how much in your specialty? Will a physician be required to review some or all of the NP’s notes for sign-off for a defined period, or indefinitely? Will the NP be able to write prescriptions for no drugs, some drugs or all drugs? Malpractice: many NPs and PAs may also want you to guarantee to pay for a malpractice “tail” when they leave your employment. They will need a tail only if your policy is claims made, which means they must pay for their own liability insurance after they leave you for acts when they worked with you. If you have an occurrence policy, it will pay if they were covered under the claim when the act happened, not when the suit was filed, so no tail is needed. Continuing Education: registration, travel, lodging, food, online CME, and do they get paid to take CME, or is CME paid for, but on their own time? Medical Assistant: depending on your specialty the NP may need a FT medical assistant so they can be as productive as possible, or you may already have a medical assistant in-house that can be shared with the new NP. For some specialties, the NP may not need a medical assistant. General Overhead: this is the biggest thing that practices overlook when they do not assign overhead costs to mid-level providers. All providers require a place to practice, staff assistants – clinical and/or administrative, equipment, medical consumables, etc. A percentage of the overhead should be considered an expense of employing the NP and should be accounted for before considering the NP to have made a profit for you during the year. Marketing: how will you introduce the NP to the community and to your existing patients? Will you do a focused marketing campaign to encourage a target demographic to try the NP? Will you have an open house to introduce the NP to potential referrers in the community? Will you make contact with and provide flyers to assisted living facilities (Medicare) or daycares (pediatrics) or gyms (wellness, sports medicine, orthopedics) or other venues that match your target patient? Miscellaneous Requests: signing bonus, office furniture, any special equipment based on personal characteristics or personal preferences (e.g. very short NPs may need a stool in each exam room or may request a hydraulic exam table), a computer at home for use when on call, relocation support, etc. School Payback: There are programs available for school loan payback for mid-levels working in primary care and/or in underserved areas. This is a huge draw for many mid-level providers – take a minute and find out if these paybacks are available in your area. A new NP may be willing to take a little less in compensation if they are also eligible for loan forgiveness. What is the reason for adding an NP? To reduce other providers’ workload? To replace a retiring physician with a non-physician? To add a needed element to the practice (e.g. a female NP in an all-male practice or vice versa)? Improve the quality of life for existing providers (call, nursing home visits, discharges, etc.) Will an NP allow the group to bill for services previously billed outside the practice, such as first assist at surgery? Will the NP make the market share pie bigger or take a piece of the existing market share pie? Has a projection been done to show the other physicians what their potential reduction in income will be if the NP takes part of the current market share? If the practice is going after new market share, how will this be achieved – general practice exposure vs niche marketing for a new service or something the NP brings to the table? How much money will the practice have to expense before it sees a return on investment? How long will it take for the NP to cover his/her own expenses? How long will it take for the NP to cover expenses and bring additional income to the practice? Will additional formal or informal training be required? Will additional equipment for new services be required? Reimbursement: What payers will pay the full allowable amount (billed under a physician) versus the allowable minus 15%? Once you have considered everything above, take a look at the just-released 2015 National Nurse Practitioner Compensation Survey. The survey, which can be purchased for $50, shows the breakout of compensation based on education, experience, region, setting and specialty. NOTE: If your practice needs helps running the numbers to see how adding an NP or PA will affect expenses and revenue, Manage My Practice has a Pro Forma Service which helps you to make a job offer knowing what your costs will be, how many patients need to be seen to cover costs and how soon after the hire the practice can potentially see a return on their investment. Contact us here or call Mary Pat at (919) 370.0504. Tags: how much does it cost to add an NP to your practice?, how to add an NP to your practice, laws for NPs, laws for nurse practitioners, what do NPs get paid?